A legend of the game, Neil Back MBE has played a fundamental role in some of the most momentous games of the modern era. A 2003 Rugby World Cup winner, Neil was a key figure in the successful campaign, scoring two tries and finishing his international career with the greatest accolade in Rugby to his name. A wonderful rugby speaker, Neil has a host of anecdotal tales he can deliver during talks, giving audience members an insight into what it was like to be the best in the world. Beginning his senior playing career at Nottingham RFC, Neil moved to Leicester Tigers after two years, becoming a stalwart figure within the side. Back would stay at the Tigers for the next eighteen years as both a player and coach, amassing an amazing 339 caps and 125 tries for the side. Making his international debut against Scotland in 1994 in the Calcutta Cup and representing England at the 1995 World Cup against South Africa, Neil continually impressed within the squad, leading to a call up for the 1997 British & Irish Lions Tour to South Africa. Neil played in two tests, contributing significantly with consistent performances towards the side’s campaign success. Describing some of the hardest games of his life as a rugby speaker, Neil is a captivating character who brings key moments in Rugby history to life. A master of the maul, Back was the Tigers’ and the Premierships (16 tries) leading try scorer in 1999 with a major tactic of the side being to kick penalties to touch in order to drive over the line. Among many of Back’s memorable moments in his career, Neil’s performance in the 2001 Heineken Cup final must be one of the greatest. Scoring a try as well as winning the line-out to set up Leon Lloyd’s winning try, Back was elemental in the side’s success. An ideal sports speaker for corporate functions, Neil can draw upon many of the skill sets needed in Rugby and relate them to the business world, leaving audience members motivated to achieve all they can. Representing England and the Tigers as captain on multiple occasions, Neil’s leadership ensured his side performed as a unit, becoming a formidable force to any team the squad faced. Discussing the attributes needed to control a team of driven individuals during talks as an after dinner speaker, Neil is an ideal personality to deliver invaluable advice to business and social environments alike. Following England’s World Cup success in 2003, Neil started his coaching career at Leicester Tigers as a player/coach before switching to a full time career in coaching after his retirement following the 2005 Lions Tours. Back has since gone on to be Head Coach of Leeds Carnegie from 2008-2011, The Rugby Football Club (2011) Ltd from 2011-2012 then Edinburgh Rugby 2012-2013. Neil’s impressive experience in coaching elite sportsmen shows his inherent leadership qualities that are essential to success in any aspect of life. 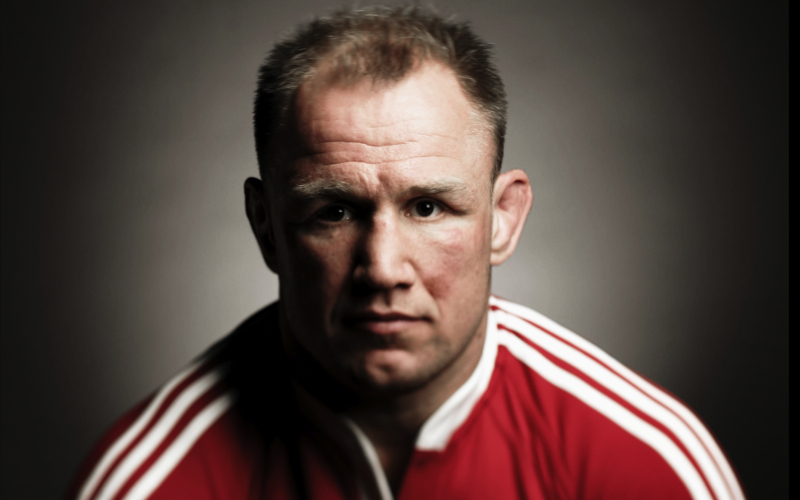 Neil Back has won five premiership titles, two European titles and of course, a Rugby World Cup, a Lions series and has been inducted into the RFU Hall of Fame, making him one of the most celebrated Rugby players ever. As a coach he achieved a premiership title and an Anglo Welsh Cup in 2007 with Leicester Tigers. A consummate professional, Neil has addressed a multitude of audiences as an accomplished rugby speaker, making him one of the most sought after figures on the after dinner speaker circuit. An equally adept event host, Neil can oversee your function, ensuring everything runs smoothly whilst engaging and interacting with guests to give everyone an idea what it was like to face some of the most revered players of the time.